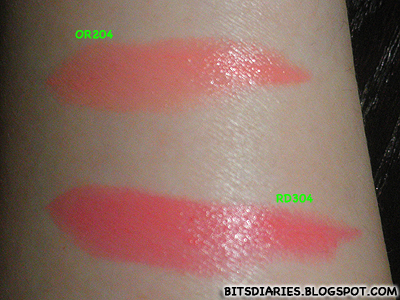 Description: Smooth textured lipstick supplies vivid color and moist shine. Directions: Twist to dispense makeup and apply evenly to lips. 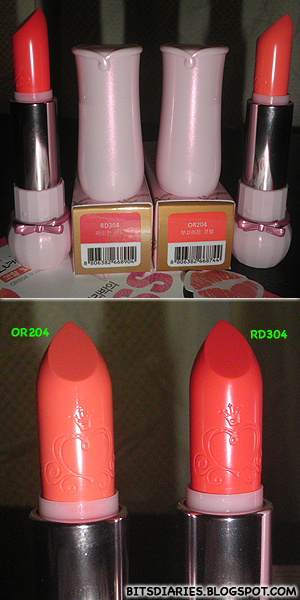 Ok so, there are a heart-shaped detailed being stamped on the lipstick which I think it looks really cool and pretty. 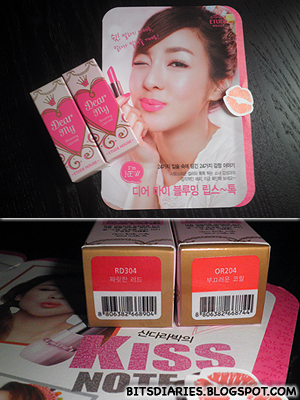 - Adorable & girlish packaging!